Blog > Free Tutorial > The Learn to Crochet Project: Week One! 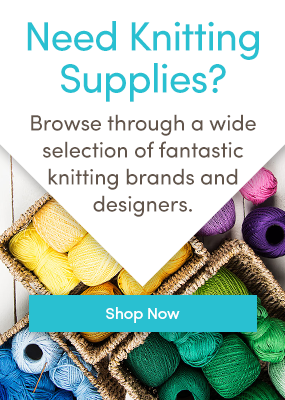 Welcome to the first week of the Learn to Crochet Project! Kat Goldin and Joanne Scrace from The Crochet Project are here to introduce you to your first project, a gorgeously simple cowl! Hopefully, some of you will have had a chance to practise holding your hook and yarn, making chains and your first crochet stitches. If you haven’t don’t worry, there is plenty of time to catch up. Have a little play with these two on your practise piece until you feel comfortable making them. Starting in the second chain from the hook work a double crochet into each of the chains. Last updated: January 8th, 2018. Bit confused by the cowl instructions, row of half treble, two rows of treble, row or half treble and row of double treble seems to be five rows in my book, not four. Or do I repeat treble, treble, half treble, double treble? I think numbered sentences might help! Oops sorry just watched the video and realised that the written instructions have an erroneous repeat of the treble line.